Leading Minnesota law firm Lind, Jensen, Sullivan & Peterson P.A. has today reported a significant boost to productivity, and associated cost savings, through their use of BigHand Mobile (BlackBerry® Edition). I constantly travel and my productivity has dramatically increased as a result of my BigHand BlackBerry software. I am never without my BlackBerry, and now I always have the ability to dictate and send my legal work via my BlackBerry device the second I am finished. This is certainly to the benefit of my clients. Leading Minnesota law firm Lind, Jensen, Sullivan & Peterson P.A. has today reported a significant boost to productivity, and associated cost savings, through their use of BigHand Mobile (BlackBerry® Edition). 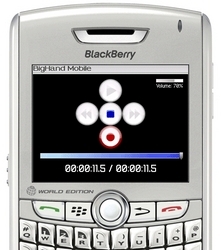 BigHand software for the BlackBerry® Smartphone allows the firms' attorneys to send dictated case notes or tasks wirelessly to their assistants, and tracks progress within the office workflow, without the need for a laptop and/or internet connection to send the drafts remotely. Lind, Jensen, Sullivan & Peterson are one of the first law firms in the Minnesota legal community to implement the BigHand Mobile (BlackBerry® Edition) among their attorneys. Shareholder Ted Sullivan led the way for the firm in utilizing BigHand's software for BlackBerry®. Ted explained: "I constantly travel and my productivity has dramatically increased as a result of my BigHand BlackBerry software. I am never without my BlackBerry, and now I always have the ability to dictate and send my legal work via my BlackBerry device the second I am finished. This is certainly to the benefit of my clients." Loffler Companies, Minnesota's #1 provider of digital office solutions, upgraded Lind, Jensen, Sullivan & Peterson from a basic Olympus standalone solution to the BigHand workflow solution, designed for law firms, in January 2008. Doug Sievers, Firm Administrator, describes: "the firm immediately realized an increase in workflow management and an improved turnaround time on all completed dictation. The firm recognized an immediate return-on-investment as a result of this increase in productivity, by being able to add five additional attorneys without having to add additional support staff. We also have taken advantage of the detailed productivity reports and complete demographic information the BigHand solution provides." 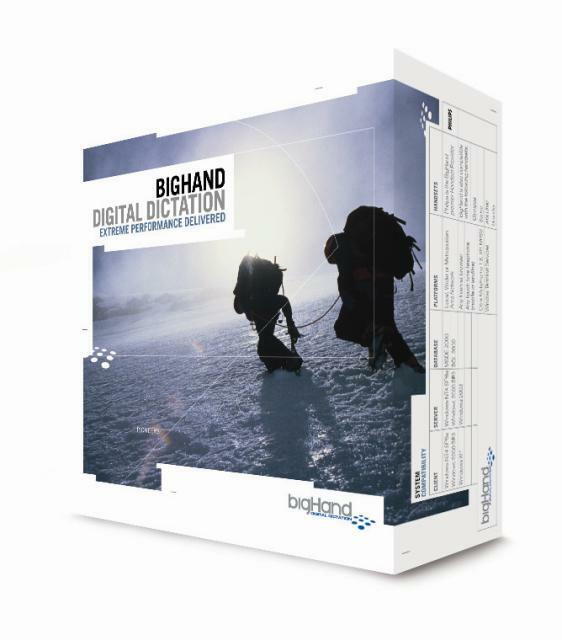 Managing Partner Bill Davison summed up the firm's overall satisfaction with the entire BigHand Digital Dictation system by stating: "BigHand is affordable for small to mid-sized firms and well worth the investment." About Lind, Jensen, Sullivan & Peterson, P.A. Lind, Jensen, Sullivan & Peterson, P.A. is a professional association with 25 attorneys and a singular focus on the practice of civil trial law within the context of contemporary business. Their practice emphasizes trials, appeals and all aspects of alternative dispute resolution procedures. Since they have chosen to streamline their legal services to litigation and litigation prevention, they are able to provide the experience and service of a large firm, but keep costs down, communication open and add a personal touch to our client's experiences. Lind, Jensen, Sullivan & Peterson, P.A. was founded in 1991 and has seen steady growth since its inception. The firm believes that their solid reputation and track record of exceeding their clients' expectations has contributed to this. The firm's many successful negotiations have profoundly impacted the reputations of the attorneys and the firm. They have the experience and qualifications to tackle virtually all matters - from simple two party claims to massive industry-wide litigation.